Groundswell is an initiative of Cedar Rapids nonprofit organization Matthew 25, whose mission is to empower people to transform neighborhoods. Groundswell consists of three main ventures — a pay-it-forward cafe, a coworking space, and an events venue. 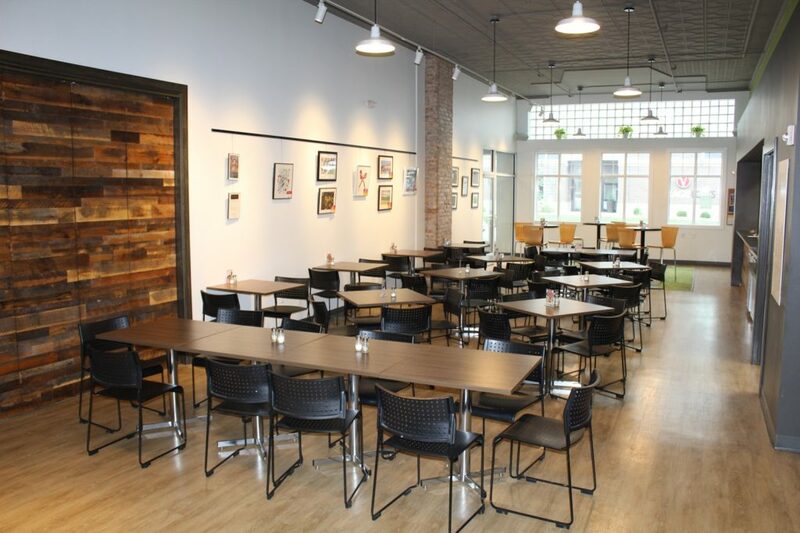 The Groundswell Cafe is a pay-it-forward eatery whose mission is to provide a place where everyone has access to fresh, healthy food, regardless of their ability to pay. 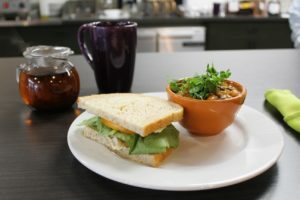 Our simple, healthy menu features delicious soups, salads, and sandwiches, with as much of the food as possible supplied by what we grow less than a mile away on our Cultivate Hope Urban Farm and in our on-site hydroponic system. At this cafe, guests can round up their bill or make a donation to help pay for a meal for someone who can’t afford it. Those who can’t afford to pay can order and enjoy our super-fresh, healthy food at no cost. The cafe connects people socially, reduces food insecurity, and provides a healthy eating opportunity in a neighborhood where more than 90% of our elementary students receive free or reduced lunches. This is a shared workspace for location-independent workers, such as entrepreneurs, freelancers, independent consultants, and creative professionals. It’s a community-driven space that promotes collaboration and creativity, and it provides a unique “green” coworking environment with two “living walls” and an indoor garden. Our “Groundswell for Good” 20% discount helps make coworking more affordable for individuals who are doing good for the community but might not otherwise have access to a coworking space. On evenings and weekends the Groundswell Café provides a place for local artists to showcase their work through concerts, open mic nights, storytelling and other events. Many events are focused on youth artistic exploration to help empower and unite young people as they explore the arts, express themselves, and engage their talents. They gain confidence in themselves, their gifts, and their skills. Both the café and the coworking space are available to rent for your next function. 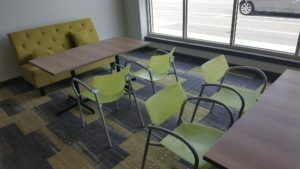 All of the furniture in the coworking space is easily movable, so we can modify the space to fit just about any kind of event. Groundswell is located in the historic Kingston Building at 201 3rd Ave SW in Cedar Rapids.